For many kids, summer means swimming, hours of playtime and fun in the sun. But summer also presents a challenge for children across our state who count on their schools for healthy meals. During the 2016-2017 school year, more than 680,000 North Carolina students participated in free or reduced-price lunch programs. They depend on their school’s breakfast, lunch and after-school meals. When the school year ends, many kids lose access to these meals and are at the greatest risk of going hungry. North Carolina ranks as the 10th hungriest state in the nation. And, 1 in 4 children face hunger on a regular basis. Good nutrition gives kids the strength they need to learn and grow. It supports their mental, physical and behavioral development. When kids grow up hungry, they are more likely to have health problems, and struggle at school and in social situations. Any lack of nutrition during the summer can make students more likely to fall behind during the school year. In North Carolina, DPI fights summer hunger and brings healthy meals to the students that need them most. Last summer, N.C. Summer Nutrition Programs served more than 5.2 million meals to children and teens at almost 3,000 locations around the state. Still, many eligible students don’t get these meals. Although these programs are open to all students up to age 18, younger children are more likely to participate. DPI’s programs, the federally-funded Summer Food Service Program (SFSP) and Seamless Summer Option (SSO), partners with nonprofits, schools, and camps across the state to provide healthy meals to children and teens in economically disadvantaged areas throughout the summer. As sponsors, these partners choose a site in their community to make or deliver meals. Sponsors manage staff and volunteers while providing recreational or enrichment programs during mealtime. In Durham County alone, six sponsors supported 154 sites last summer. These sponsors served 401,235 meals and snacks – food that some children would have gone without. For more than five years, Blue Cross and Blue Shield of North Carolina (Blue Cross NC) has sponsored sites through the SFSP program. In partnership with East Durham Children’s Initiative, Blue Cross NC sponsors one site in Durham County. Throughout the summer, our volunteers staff this site and serve food to children and teens in the community. In addition, this year, Blue Cross NC will sponsor two new sites in Orange County. 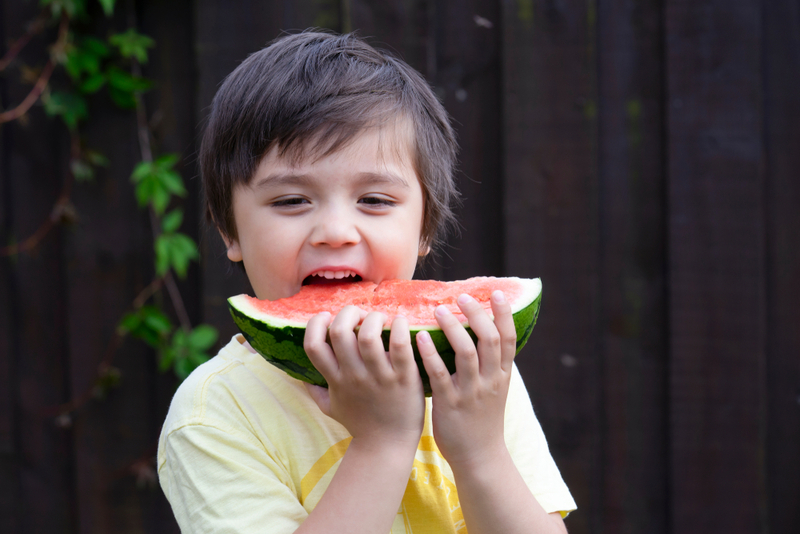 For information on summer meals in your area, check out the USDA Summer Nutrition Program Site Locator Map.